Gloucestershire Archery Society is committed to protecting your personal information. In this notice references to ‘we’ or ‘us’ means Gloucestershire Archery Society. This notice explains how we collect and use the personal information about you. Gloucestershire Archery Society is operated and administered by the management committee. Gloucestershire Archery Society is a wholly voluntary organisation affiliated to Archery GB and Grand Western Archery Society. Gloucestershire Archery Society operates the website www.glosarchery.com. (the “Website”). Gloucestershire Archery Society gathers certain information about you. Information about you is also used by Archery GB, local archery clubs, county and regional associations. When you become a member of Gloucestershire Archery Society you will give us information. You may also give us information when using our Website or Membership system. 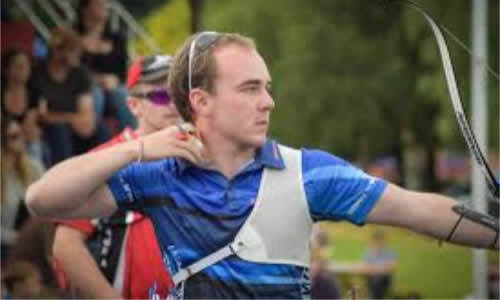 Information may include your name, date of birth, postal address, email address, phone number, financial and credit card information, a personal description, disability, ethnicity, your archery qualifications, award history or CRB / DBS / PVG checks that have been undertaken and a photograph. We work closely with third parties (including, for example, Gloucestershire Archery Society’s business partners, associate bodies, sub-contractors in technical, payment and delivery services, advertising networks, analytics providers, search information providers,) and may receive information about you from them. We rely on the legitimate interest basis to use your personal information in some circumstances. For example, when you apply to become a member of Gloucestershire Archery Society, we have a legitimate organisational interest to use your information to respond to you and give you the benefits of being a member as explained on the Website regarding features of being a member. We also rely on obtaining your consent to use your personal information. For example, we will seek your consent to receive marketing via email and post about Gloucestershire Archery Society. We use profiling and screening techniques to ensure communications are relevant and timely, and to provide an improved experience for our members and individuals who we may have a formal relationship with such as Instructors. Profiling allows us to evaluate and therefore understand our members and individuals who we may have a formal relationship with such as Instructors using appropriate statistical analysis. We do this because it helps us to make appropriate communications to our members and those individuals who we have a formal relationship with. When building a profile, we may analyse geographic, demographic and other information relating to you in order to better understand your interests and preferences in order to contact you with the most relevant communications. We may use additional information from third party sources when it is available. Such information is compiled using publicly available data about you, for example addresses, listed Directorships or typical earnings in a given area. We do not carry out profiling in relation to children. any other reasonable purposes of Gloucestershire Archery Society, acting always in accordance with the data protection law (as amended from time to time). We may contact you for marketing purposes by email or text message if you have agreed to be contacted in this manner. By subscribing to Gloucestershire Archery Society emails or opting in to email communication from Gloucestershire Archery Society, you grant us the right to use the email for both email marketing purposes and advertisement targeting. 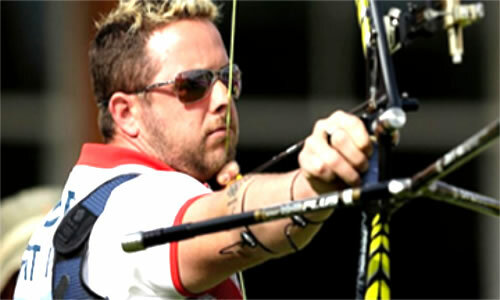 We may include information from other archery organisations in these communications. You can also change any of your contact preferences at any time including telling us that you don’t want us to contact you for marketing purposes by telephone, or by post by contacting our membership services team on committee@glarchery.com . Should you have a query regarding this please contact our Secretary. We will not use your information for marketing purposes. However, we will retain your details on a suppression list to help ensure that we do not continue to contact you. 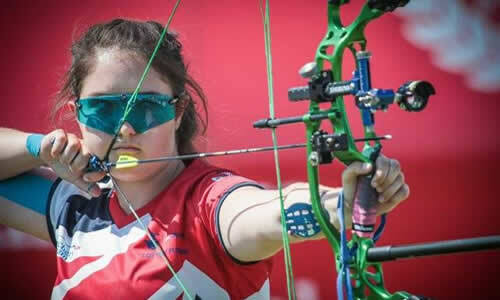 Associate bodies such as Archery GB, GWAS and County Clubs in order that they may communicate with you regarding archery events only or to allow the associate bodies to manage the running of the sport in their areas. to protect the rights, property, or safety of Gloucestershire Archery Society, Our Members, or others. This includes exchanging information with other companies and organisations for the purposes of fraud protection and credit risk reduction. No data outside of EEA. We require these third parties to comply strictly with our instructions and data protection laws and we will make sure that appropriate controls are in place. We enter into contracts with all of our data processors and regularly monitor their activities to ensure they are complying with Gloucestershire Archery Society’s policies and procedures. We will keep certain personal information of members for longer in order to confirm your identity, when you were a member of Gloucestershire Archery Society and for how long. We need to do this to comply with the Companies Act 2006, which requires us to keep a register of members or [in the event of a claim against Gloucestershire Archery Society]. The data that we collect from you will be transferred to, and stored at Gloucestershire Archery Society registered office and online systems. Gloucestershire Archery Society will take all steps reasonably necessary to ensure that your data is treated securely and in accordance with this Privacy Notice. Have any inaccuracies in your data corrected. If you would like to update the details we hold about you other than online, please contact our Secretary via telephone, email or by letter. You have a right to request a copy of the personal information we hold about you. We require you to prove your identity with two pieces of approved identification. Please address requests to the Secretary and we will respond within one month, of receipt of your written request and confirmed ID. Please provide as much information as possible about the nature of your contact with us to help us locate your records. This request is free of charge unless the request is manifestly unfounded or excessive. The Secretary is the first point of contact regarding any enquires arising from this Privacy Notice. Where possible, please raise all enquires in writing. If you are unhappy with our work or something that we have done or failed to do, please inform us in writing. 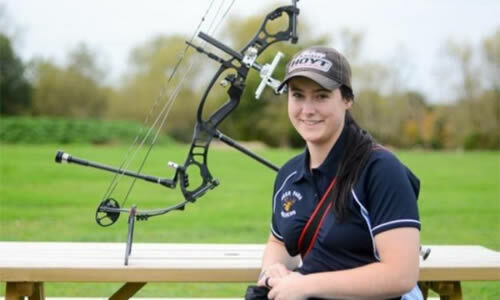 Gloucestershire Archery Society will acknowledge receipt of all complaints and will endeavour to investigate the complaint within 15 working days.